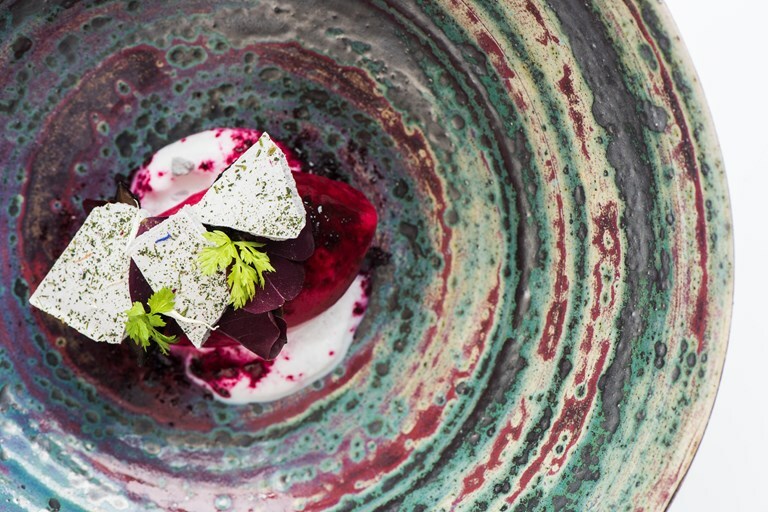 This glorious sorbet recipe by Heinrich Schneider combines the earthy flavour of beetroot with zingy raspberry, heady lavender and fragrant verbena. Textures, too, are equally well balanced, with smooth sorbet, delicate, creamy mousse and crisp shards of meringue stacked in a colourful mound. While this striking dessert requires a few cheffy pieces of equipment, each of the elements can be prepared in advance and put together at the last minute for a fuss-free finish to a dinner party.